One of the core values of Nanyang Junior College (NYJC) is empathy, where compassion and the desire to help others to the best of your ability are nurtured. Naturally, this value is best embodied by students Ho Shang Yi, Gerald Ho, and Goh Kaixuan, who all share a common heart of servitude and giving back to society. For them, the release of the 2018 GCE ‘A’ Level results on 22 February 2019 opens the gateway to more development opportunities in both higher education and career, and amidst the exhilaration of the special day, it offers the perfect moment for them to look back at their journeys while keeping an eye on the exciting path that lies ahead. BrightSparks catches up with the trio as they share with us the learning opportunities and programmes provided by the school and the academic and career goals they look forward to having. 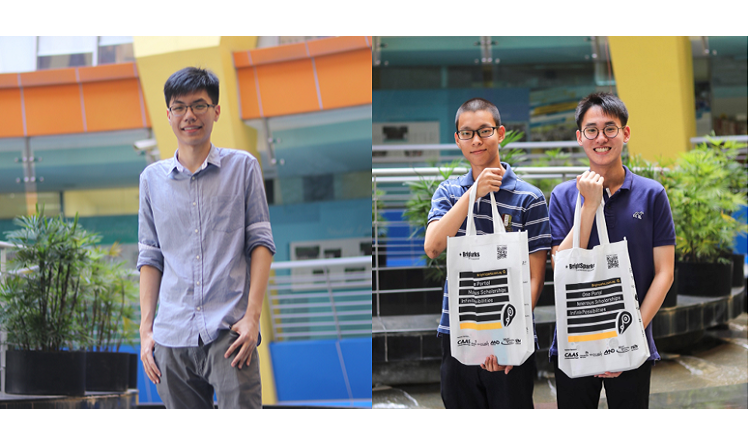 All three students have a deep-seated interest in carving out careers in the public sector, and for Kaixuan – who is looking at both the Public Service Commission (PSC) Scholarship (Engineering) and Smart Nation Scholarship – it all goes down to making an impact in his pet fields of Engineering and Information Technology (IT). “My passion lies in the public sector, and having gone for an internship under the Smart Nation Scholarship, I’ve gained an interesting perspective on policy-making and how someone in the public sector can make a difference,” he reveals.